June 11, 2015 – Ball Aerospace & Technologies Corp. will support Principal Investigator Dr. Philip Christensen at Arizona State University (ASU) to develop the Thermal Emission Imaging System for a NASA mission to study Jupiter’s moon, Europa. The E-THEMIS is one of nine science instruments that will fly aboard a spacecraft to investigate whether the mysterious icy moon of Jupiter could harbor conditions suitable for life. “We are proud to be part of the Europa mission to support ASU in the development of an instrument for NASA’s search for life beyond Earth in our solar system,” said Jim Oschmann, vice president and general manager for Ball’s Civil Space and Technology business unit. The E-THEMIS instrument will be built at ASU’s School of Earth and Space Exploration. ASU will do the instrument design, fabrication, assembly, test and calibration, along with mission operations and science data processing. Ball Aerospace will provide the engineering model and flight electronics, and will lead the development of the radiation-hardened microbolometer (used as a detector in a thermal camera) focal plane assembly and the design and implementation of the system radiation hardening and mitigation. “The role E-THEMIS plays in the mission is to act as a heat detector,” says Christensen. “It will scan the surface of Europa at high resolution for warm spots.” The E-Themis heat detector helps locate active sites, such as potential vents erupting plumes of water into space. Cameras built by Ball Aerospace aboard the Hubble Space Telescope previously returned images showing plumes of water shooting out from the surface of the Europa moon. 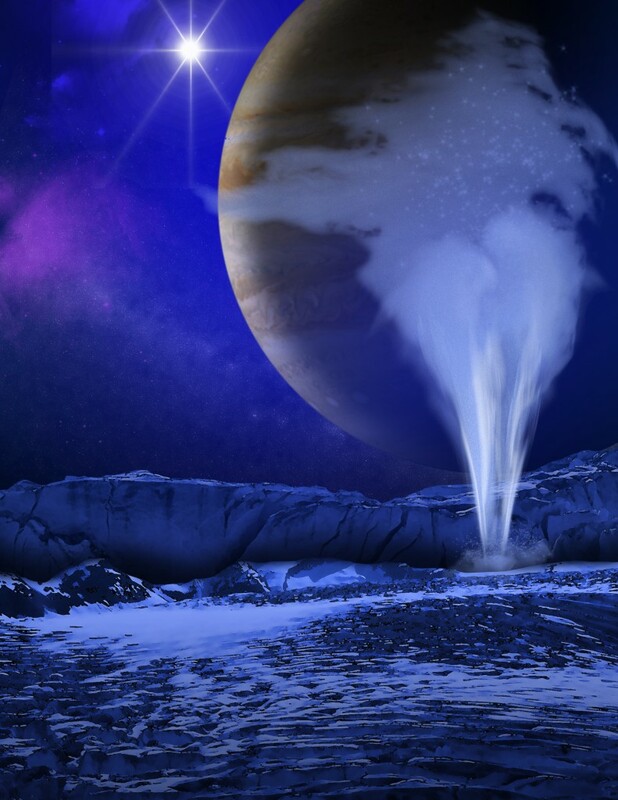 Confirmation of the plumes’ existence by E-THEMIS could link the plumes to a subsurface ocean and help scientists investigate the chemical makeup of Europa’s potentially habitable environment. Europa is one of four large Jovian moons and is about the size of Earth’s moon. Scientists believe a global ocean of salty water may lie 40 miles (70 kilometers) below Europa’s crust. If so, Europa could harbor more than twice as much water as Earth’s oceans.